Since 2011, U.K. power trio OLD MAN LIZARD have been belting out their unique brand of particularly fine stoner metal heaviness. 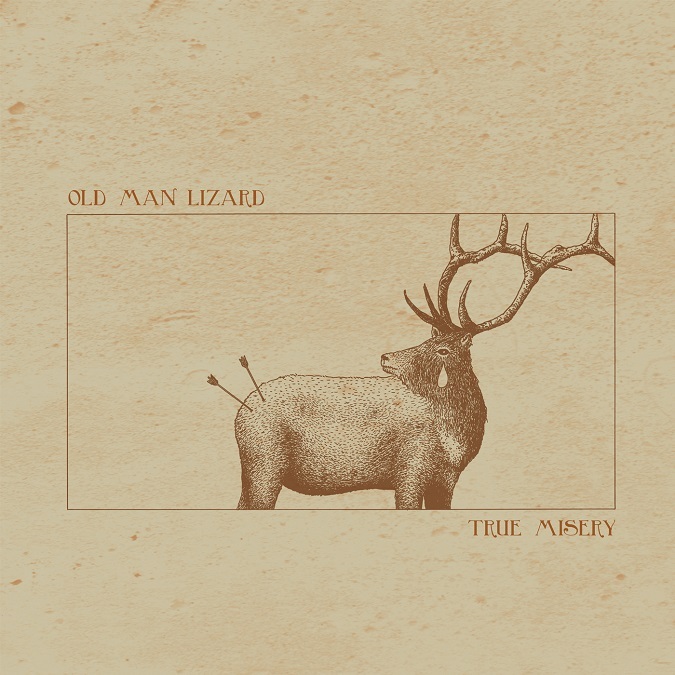 They’ve captured some memorable live shows under their belts, too – alongside the likes of Elder, Conan, and Fatso Jetson, as well as slots at Desertfest London and Belgium – establishing OLD MAN LIZARD as a staple of the current heavy fuzz rock scene. After two well-praised records – a self-titled début with Heavy Psych Sounds, ‘Lone Wolf vs Brown Bear‘ on Wickerman Recordings – and a 7” split with Earthmass on Big Riff Records, Jack Newnham (also in Slabdragger and Meadows), Gav Senior, and Dan Beales have returned to release their third full-length, ‘True Misery‘, due out this Friday, November 30th with Wasted State Records! Today, Riff Relevant and the band are exclusively sharing the ‘True Misery‘ album in its entirety! Available on CD, Vinyl, and Digital Download, these brutal tales and banging riffs are vital listening and pre-orders of ‘True Misery‘ are open at either Wasted State Records [LINK] or Old Man Lizard‘s Bandcamp [LINK]. Dive into the heavy riffs of OLD MAN LIZARD and stream the band’s new album ahead of official release date!